See, Experience, and Purchase incredible art! Please click on the above image to view our Local Art. Essential Oils make Great Gifts! 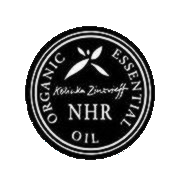 proudly sells NHR organic essential oils. The largest range of Soil Association Certified organic essential oils in the world. Simply the highest quality organic oils you can buy anywhere. 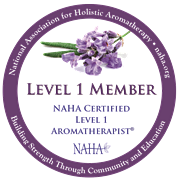 The many uses of Essential Oils include Massage, Baths, Steam Inhalation, and Aromatherapy. We also carry Oils for your Skin and Hair Care, for use as Perfumes, and Room Burners. Babies and Children can also benefit from these safe and effective Oils. Kolinka Zinovieff who qualified as an Aromatherapist at the Institute of Clinical Aromatherapy and studied a postgraduate course at L'Institute des Sciences Phytomédicales, personally oversees the selection process of each Organic essential oil. This ensures that you are buying the highest quality certified Organic oils available anywhere in the world. Essential oils are concentrated plant extracts, obtained through expression or steam distillation of flowers, bark, leaves, fruits and roots. The easiest essential oil to see, is the pure essential oil that comes out of orange peel when you squeeze. Try it. Orange peel contains large quantities of oil, making it one the cheapest oils to buy. In contrast to Rose petals, which have very little oil in them, making it the most expensive oil. Most Rose absolute oil you buy is not pure and is usually mixed with man-made chemicals creating a therapeutically useless - and in some cases toxic - oil. Essential oils are highly concentrated and must be diluted with carrier oil before applying to the skin. We sell only the highest quality therapeutic grade pure Organic essential oils, all certified Organic by the Soil Association. How do essential oils and aromatherapy actually work? How does Aromatherapy work? When essential oils are applied, they are absorbed through the skin into the blood stream and carried through the whole body, helping to balance its natural functions. When chemically analyzed, each essential oil contains many, often hundreds of compounds. Each compound has a different therapeutic effect. Orthodox medicine is very good at understanding each individual compound and its effect on the body, e.g. the effect of everyday chemical compounds, such as aspirin. When nature mixes hundreds of compounds together in tiny proportions as in the case of essential oils, the interaction of all these parts is, so far, too complex for science to analyze or understand. The term synergistic reaction is used when the mixture of all the compounds has a more potent effect than can be explained by the individual compounds being added up. Essential oils are nature's potent remedies which work in harmony with the body. The body takes from each remedy what it needs. This accounts for the surprising fact that one essential oil can act as either a relaxant or a stimulant. HOW ARE ESSENTIAL OILS, ABSOLUTES & FLORAL WATERS PRODUCED? 1. Steam distillation. The plant material, e.g. leaves or flowers, as in the case of Lavender, has steam passed through it, then the steam is condensed into water and oil. The oil is the pure essential oil and the remaining water makes floral water. 2. Expression. This method is used for citrus fruits. The peel is compressed forcing the essential oil out. 3. Solvent extraction. This method is used when steam may harm the delicate plant material, as with: Rose, Jasmine and Neroli flower petals. The flowers are covered in a solvent which is then evaporated or distilled away. This produces what is called an absolute oil. 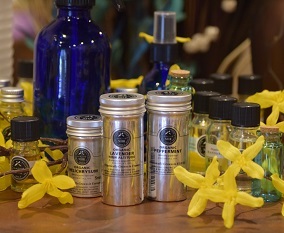 Massage with the use of essential oils is deeply relaxing, refreshing and improves your well being. Add 10-15 drops of essential oil to 20 ml of NHR Organic Oils base oil or (40-70 drops to a 100ml) and massage it into the whole body or localized area. You can use a single essential oil or mix two or more together, to suit your condition. Or try using one of our synergistically blended massage oils for a truly nourishing and uplifting experience. Baths are one of the easiest and most pleasurable ways of using essential oils. Just add 5-10 drops to a table spoon of either base oil, honey or milk, and then pour into your bath when it has finished running, stirring the water to mix the oils in. For maximum benefit soak for at least 10 minutes. Try lighting a candle and take a few gentle deep breaths to enhance the relaxing and revitalizing experience that these oils will create. After your bath apply one of NHR’s ready blended massage oils on your body to prolong the benefits of the bath and nourish and moisturize your skin. Place 3-6 drops of Breathe-Easy, NHR’s special mixture of pure essential oils, or an essential oil of your choice, in about one pint of boiling water. Cover your head with a towel and breath in the steam for a few minutes. Repeat 2-4 times daily. This process of taking the essential oil directly into your nose, throat and chest has strong antibacterial, antiviral and soothing effects. You can create whatever atmosphere you want in your home or work place by using candle burners or light bulb rings. Rosemary, for example, helps mental concentration (good for exams), while Bergamot is uplifting and Lavender is relaxing. See order form for details of products available. Essential oils and floral waters make beautiful perfumes. Unlike the man-made perfumes bought from shops, essential oils are natural and have a more attractive aroma as well as a therapeutic and reviving effect. Always dilute essential oils before use, see massage instructions. Essential oils added to your creams, lotions and shampoos will enhance their therapeutic actions and leave your skin and hair looking healthy and vibrant. Mix 20-30 drops of essential oil to 50ml of shampoo and 10 -20 drops for 50 ml of cream or lotions. Children and babies can benefit greatly by using NHR pure essential oils and floral waters. When using essential oils to massage children, or in their baths, it is always important to dilute them in an NHR blended base oil, or vegetable oil first. Use lower dilution: for children 5-10 drops, for babies 2-4 drops of essential oil per 20ml of NHR base oil. Floral waters are a very good alternative to essential oils to use with children and babies, since they are already diluted and no cautions are needed. Floral waters have similar effects to essential oils but are more gentle. HOW DO I USE FLORAL WATERS? Use 5-10 ml as face cleanser or pour in bath. Floral waters are a very good alternative to essential oils to use in many situations. As a face and eyewash or cleanser. With children and babies as floral waters are so safe and mild. In hot or cold compresses. As a skin moisturizer and cleanser. As a refreshing body lotion. An ideal present for both men and women. In food and cooking. Many people use floral waters in their cooking to create exotic and delicious flavours. Please ring for ideas or further information on how to use pure NHR floral waters in your kitchen. As a drink for their therapeutic qualities. What are the effects of Essential Oils and Floral Waters? The effects of essential oils and floral waters are enormously complex and varied they work on the physical level, emotional level and spiritual level. Antibacterial Eucalyptus, Thyme, Rosemary, Lavender, Lemongrass, Rosewood, Pine, Tea-tree. Antiseptic Eucalyptus, Tea-tree, Geranium, Thyme, Lemongrass, Lavender, Pine. Anti wrinkle Frankincense, Sandalwood, Lavender, Ylang Ylang. Aphrodisiac Jasmine, Sandalwood, Patchouli, Rose, Ylang Ylang. Circulatory tonic Pine, Juniper, Rosemary, Marjoram. Deodorant Bergamot, Cypress, Lavender, Neroli. Eases fatigue Geranium, Lavender, Peppermint, Rosemary, Rosewood, Thyme. Emotional balancer Geranium, Lavender, Rose, Marjoram. General tonic Rosemary, Thyme, Eucalyptus, Lavender. Harmonising Lavender, Geranium, Bergamot, Rose. Inhalant Eucalyptus, Frankincense, Tea-tree, Lavender, Thyme. Mood swings Cypress, Geranium, Lavender. Rejuvenating Frankincense, Lavender, Neroli, Myrrh. Relaxing Lavender, Camomile, Clary Sage. Respiratory tonic Frankincense, Juniper, Thyme.